In Episode 3 of CCTea, Kevin and Zach tackle the topic of Medical Wearable Technology, and discuss how these devices affect our health, our daily lives, and even our social interactions. They also analyze the differences between consumer wearables (such as FitBit, Apple Watch, Garmin, etc. ), and true medical wearable technology (such as glucose monitors, pulse trackers, and diagnostic wearables). Do you use wearable medical technology like step counters or pulse trackers? How do they impact our physical and mental health? What are the medical, financial, and legal implications of these devices? Today, the tea will tell. Tune in next time for a follow-up episode containing an in-depth interview with Shavini Fernando, a CCT entrepreneur who recently invented her own award-winning medical wearable technology! 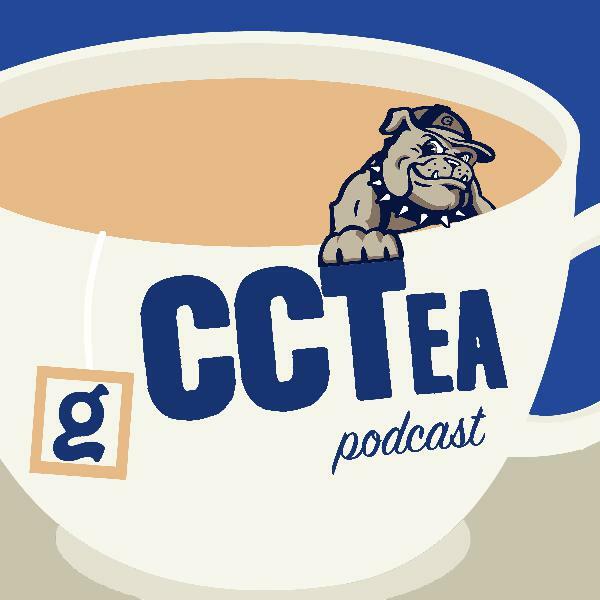 Kevin and Zach return to the booth for the second-to-last installment of CCTea's first season, where they discuss the hot topic of artificial intelligence!Artificial intelligence (or AI) has become quite the buzzword in today's society. New "smart" devices with machine learning algorithms are integrating into our daily lives at a rapid pace. These machines can sift through unfathomable amounts of data to recognize patterns, predict behavior, and maximize efficiency. While these machines may still be bound by their foundations in binary code, some worry that they are evolving faster than their human creators. Should we be excited? Should we be worried? Today, the tea will tell. Table of Contents:0:00 - Intro1:15 - Semantic Issues with AI4:45 - The 3 H’s (Hope, Hype, Hysteria)6:30 - Another H (History)9:00 - Logic Theorist (1957)9:45 - The Turing Test (1950) 11:15 - Conversational AI: Automated Communication14:00 - Sociotechnical Blindness15:15 - Accountability in the Age of AI 17:20 - Machine Learning18:20 - Natural Language Processing22:20 - Exponential Growth of Technology 23:25 - The Future of Work? 25:45 - Importance of Adaptability26:40 - Kevin’s Cold Take 27:15 - Denouement & gnovicon 2019 Learn more about gnovicon and register to attend here: http://www.gnovisjournal.org/gnovicon-2019/ReferencesCGP Grey. (2014). Humans Need Not Apply. Retrieved from https://www.youtube.com/watch?v=7Pq-S557XQUJohnson, D. G., & Verdicchio, M. (2017). Reframing AI Discourse. Minds and Machines, 27(4), 575–590. https://doi.org/10.1007/s11023-017-9417-6Vincent, J. (2019, March 5). Forty percent of “AI startups” in Europe don’t actually use AI. claims report. The Verge. Retrieved from https://www.theverge.com/2019/3/5/18251326/ai-startups-europe-fake-40-percent-mmc-reportAll background music in this episode was created by AI technology from Jukedeck - create your own at http://jukedeck.com. In Episode 3 of CCTea, Kevin and Zach tackle the topic of Medical Wearable Technology, and discuss how these devices affect our health, our daily lives, and even our social interactions. They also analyze the differences between consumer wearables (such as FitBit, Apple Watch, Garmin, etc. ), and true medical wearable technology (such as glucose monitors, pulse trackers, and diagnostic wearables). Do you use wearable medical technology like step counters or pulse trackers? How do they impact our physical and mental health? What are the medical, financial, and legal implications of these devices? Today, the tea will tell.0:00 Intro1:05 Wavering Walks of Winter3:00 The McFitBit4:50 Most Accurate Pedometers6:00 Story by Kevin: A Dark Side of Personal Health Tracking10:00 Showcasing Quantified Health11:45 The Broad Spectrum of Medical Wearable Tech14:00 Medical Monitors & Surveillance16:00 Privacy: Consumer Wearables vs. Medical Devices17:30 Grindr Scandal: Selling Sensitive Health Data20:20 Wearable Tech Revenue$21:40 Zach’s Secondhand FitBit Testimony23:00 Positive Aspects of Gamifying Health25:30 Kevin’s Cold TakeTune in next time for a follow-up episode containing an in-depth interview with Shavini Fernando, a CCT entrepreneur who recently invented her own award-winning medical wearable technology!